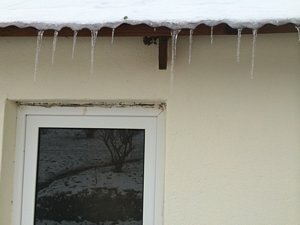 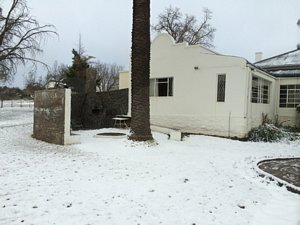 Chris Slabbert; Able Cogle; Andre Stoebel. 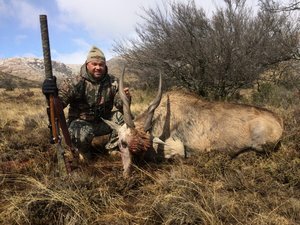 Rifles Used: 338 Winchester, 308, 30-06. 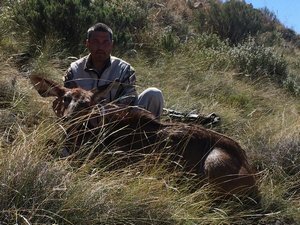 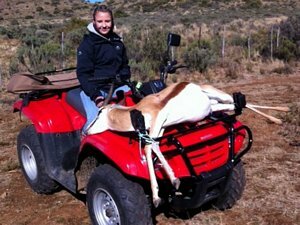 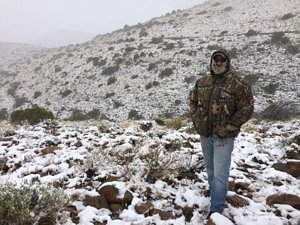 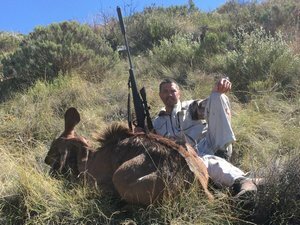 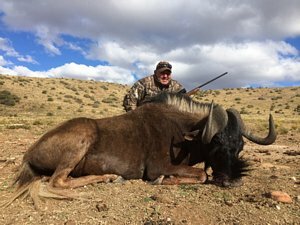 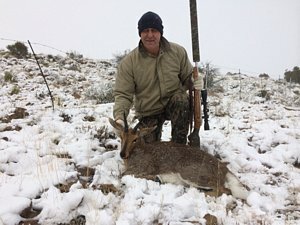 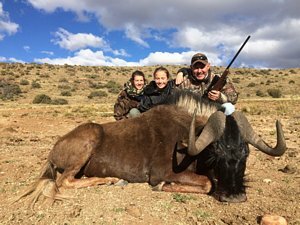 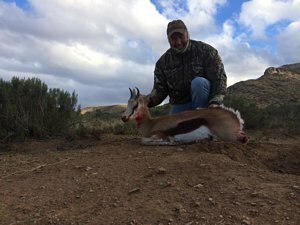 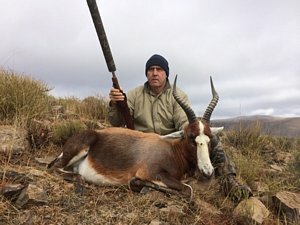 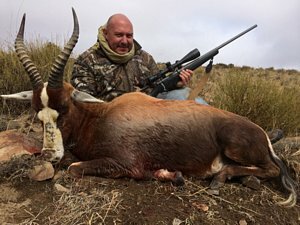 The first day was very difficault with the hunters not used to the long range shooting and it took a bit of time for them to get th hang of the distances you have to shoot in the Karoo. 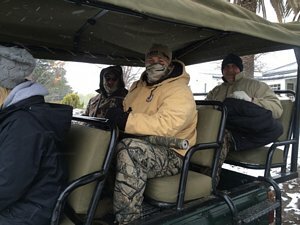 from then on it got harder to hunt as snow came in but we still had to get the job done so we when out in the snow blizard and hunted. 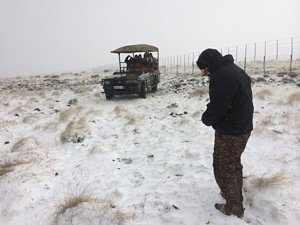 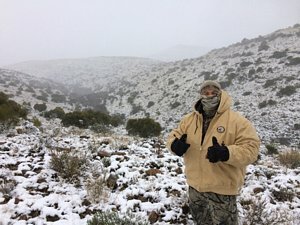 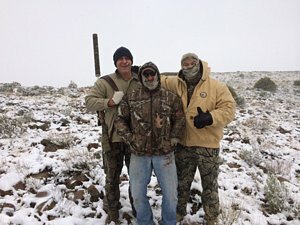 The snow stopped on day number three and it turned out to be a successful hunt with all the hunters getting the game they wanted.